A new road opened up recently that cuts through the Hajar mountains and provides a more direct route to/from Dubai and Fujairah (yay!). 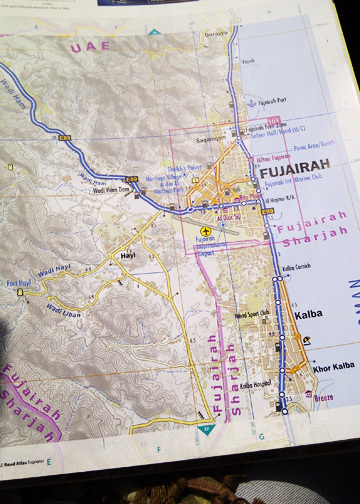 This is excellent news, considering Fujairah is pretty much my favorite place in all of the UAE and it now only takes an hour to get there; previously it was about 1 hr 45 minutes I think? 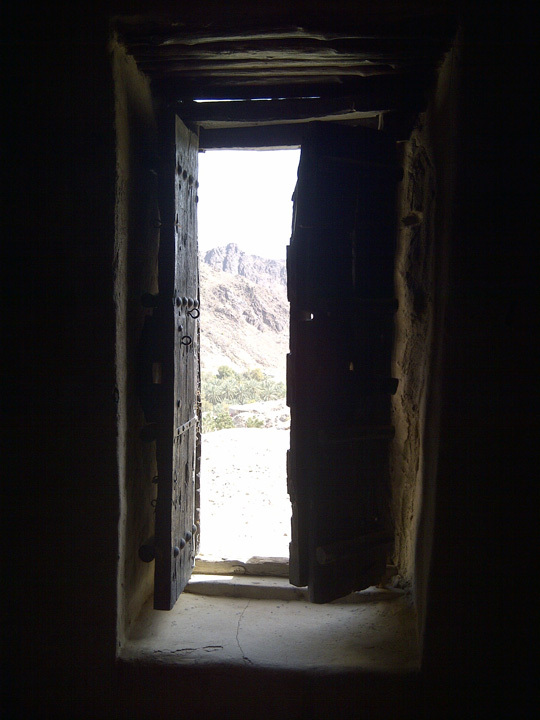 This weekend, we tested the new road out and took a little detour to peek at Al Hayl castle. 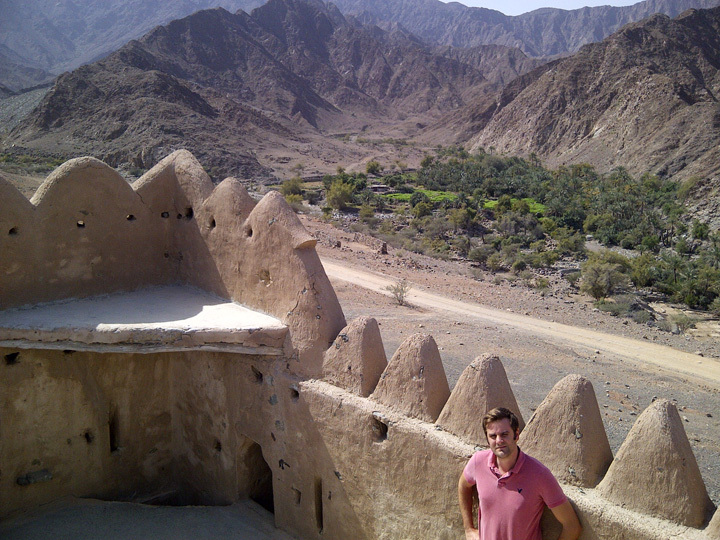 Located just a short drive away from Fujairah city, the (pretty quaint) castle is about 250 years old in a gorgeous location surrounded by mountains and date palm farms. The structure is by no means huge, but nice to look at all the same and you can climb through it to explore the whole thing. There is a wind tower on the hill above the caste that you can climb to the top of for some lovely views as well. Also stopped by Fujairah’s mangrove swamps, which I would love to kayak through at some point! & I know, this blog has been pretty quiet lately. Sorry but I simply haven’t had anything to say, I guess. 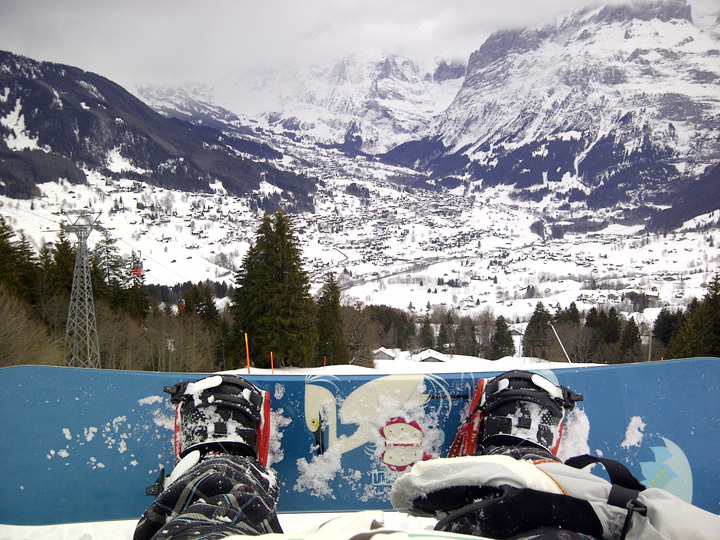 Wengen, Switzerland last month was wonderful; many times better than last year as I didn’t suffer from any migraine attacks this year and I also got new bindings and boots, which did me a world of good on the snowboard. The bindings (K2 Cinch bindings) particularly, I think were much better than my previous pair and gave me much better control. We did a lot of long runs from the top of Männlichen and Kleine Scheidegg that took you all the way down to the village of Grindlewald. These long runs are the best: they wind through the woods (smells like Christmas tree! ), have less people on them, and take almost an hour to complete! I love rambling runs! What’s coming up? While February looks to remain pretty quiet, March and April are going to be rather manic. By the time May rolls around I’m probably going to be on the verge of going utterly mental, so thankfully I have 2 weeks in India to look forward to in early-mid May. Focusing on Kerala, I’m currently working on some vague plans for what to do in the spice & tea plantations in the mountains, Alleppey’s backwaters and Varkala’s lazy beaches. I hope I find a little something to help beak up the summer here in the UAE (UK? Lebanon? ), then plan for a trip into the states (Pittsburgh & NYC) this October – Halloween YESSSS! !